The Advisory Board of the European Commission Business@Biodiversity Initiative (B@B) met recently to kick-start the work to be developed in 2018 by its members in order to strengthen the integration of biodiversity and natural capital in business, government, investment and projects decisions. The Advisory Board of the European Commission Business@Biodiversity Initiative (B@B) met recently to kick-start the work to be developed in 2018 by its members in order to strengthen the integration of biodiversity and natural capital in business, government, investment and projects decisions. 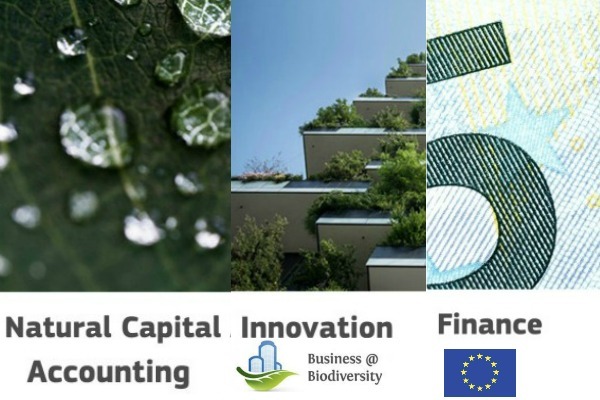 The various recommendations made during a discussing on ongoing challenges, key objectives and strategy to be deployed to comply with strategic planning will help to guide the work planned by the three workstreams in which B@B is focused: Natural Capital Accounting The overall objective of the NCA workstream for 2018 will consist in increasing and sharing knowledge about biodiversity accounting at the company level. The Platform will remain a key player in developing the NC Biodiversity Supplement and will also continue its work (started in 2017) on ‘ambition level’ with a focus on planetary boundaries and positive impact. A new part of the workstream activities will consist in engaging with workstream members (e.g. through a peer review process) with a view to develop assessments of a range of pragmatic biodiversity metrics for businesses. During the event held in Brussels, biodiversity metrics were recognised as having great potential value for businesses. This work started already with the assessment of the Global Biodiversity Score (GBS™), which is being developed by CDC Biodiversité to provide an overall and synthetic vision of the biodiversity footprint of economic activities. Innovation Workstream In 2018, work on the ‘Innovation Toolbox’ that supports innovation in the business and biodiversity arena will continue to pursue ‘smart partnerships’ with other networks and platforms offering relevant tools. The Platform will also aim to facilitate access of the B@B community to EU research and innovation (R&I) funding. This should include promoting relevant Horizon 2020 call topics for 2019 and 2020 with the B@B community, and further work to enhance engagement of the B@B community in the SME Instrument. New for this year is the Platform’s ambition to lead work with Platform members to assess key R&I needs in the B@B arena, with a view to recommending to DG RTD a small number of topics to be considered for FP9 (the EU’s Ninth Framework Programme for R&I, which will succeed Horizon 2020). The AB also suggested that the Innovation Workstream collaborate with the Finance Community of Practice (Finance Workstream) to develop guidance for the business and biodiversity community on what makes a bankable/investable biodiversity and natural capital project. Such guidance would be a useful tool for the Innovation Toolbox. This might be advanced through a workshop in the early summer. As regards smart partnerships, it was noted that two H2020-funded Coordination and Support Actions on Valuing Nature, one focussing on the public sector (approx. €3 million) and one on the private sector (approx.. €2 million), would start in late 2018. It will be important to develop smart partnerships with these networks. Exploration of such partnerships might already start in late summer (once the consortia selected to lead these projects are known). Finance Workstream The overall objectives of the Finance workstream in 2018 will consist in strengthening and accelerating the integration of biodiversity into investment decisions, and thus into business, government (sovereign bonds) and project decisions. It will do so by sharing pioneering practice and methodologies and collaborating on content in a Community of Practice setting. The Platform, through its Community of Practice, was recognised as a key player in the mainstreaming biodiversity in investment decisions and in supporting, among others, the development of the Finance Sector Supplement to the Natural Capital Protocol. In 2018, the Platform will strengthen linkages with initiatives that are closely related to the workstreams including those currently led by the Natural Capital Coalition (e.g. development of a Biodiversity Supplement to the Natural Capital Protocol (NCP), engagement in the “Combining forces” initiative). Other strategies were suggested to support the mainstreaming of biodiversity and natural capital into business practices. Interlinkages between natural capital and the circular economy should be strengthened, focussing on the flows that both areas have in common and inspired by ongoing initiatives in the Netherlands (e.g. development of biodiversity datasets for integration with resource impacts databases). The EU B@B Platform was also invited to play a key role in informing the design of Framework Programme 9 (FP9), the successor to H2020, by relaying key topics for future research to DG RTD. Source: B@B.